Wade Clark Roof and William McKinney argue that a new voluntarism is slowly eroding the old social and economic boundaries that once defined and separated religious groups and is opening new cleavages along moral and life-style lines. Nowhere has the impact of these changes been more profoundly felt than by the often-overlooked religious communities of the American center, or mainline--Protestant, Catholic, and Jewish. 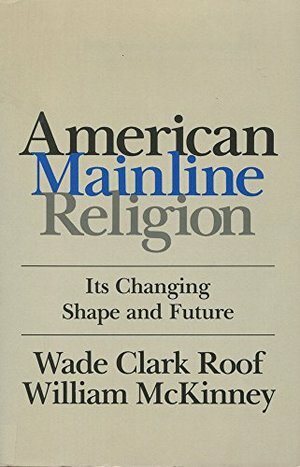 "American Mainline Religion" provides a new "mapping" of the families of American religion and the underlying social, cultural, and demographic forces that will reshape American religion in the century to come. Going beyond the headlines in daily newspapers, Roof and McKinney document the decline of the Protestant establishment, the rise of a more assimilated and public-minded Roman Catholicism, the place of black Protestantism and Judaism, and the resurgence of conservative Protestantism as a religious and cultural force.